After a year of challenge, there was no way I could just stop, so I’ve spent quite a long time thinking about what I want to do next and so quite a few things on this list are a natural progression from my 35:35 Challenge. Food: From Allotment gardening to Michelin starred restaurants. Jam making. Allotment gardening. Cookery classes. Michelin starred restaurants. Street food. Apple Day. Agricultural shows. Cooking with my kids. Bee project. Exploring new food. Pop-up tea rooms and restaurants. Cheese making. Patisserie. Market shopping. Discovering new local food producers. Cookbook Challenge. A continuing challenge to cook something from each of my 64 cookbooks and record each one on my Tumbr account. Outdoors: Being Active in the Natural Environment. Cycling. Horse riding. Walking. Climbing. Running. Camping. Sailing. Kayaking. Teaching my kids about wildlife, nature and the seasons. Picnics in the park. Walking in the woods. Sandcastles in the summer. Snowmen in the winter. Riding – I’m going to get back on a horse again this summer. If I enjoy it, I plan to re-learn to ride again from scratch. This is a huge undertaking, as I’ve not been in the saddle for three years and if I’m honest, I have in the way of little natural ability so it’s hard work. Get back in a kayak. Much like getting back on a horse, this is something I need to do. Preferably in calm, sunny waters! Cycletta. Complete this on my new Pashley Princess. Which means I’m unlikely to beat my old time, but I’m going to enjoy it nonetheless. Come and say hello if you’re doing the Tatton Park ride too! English Adventures: From Northumberland to Lands End. Exploring the parts of England that I’ve never visited before. Sharing the Isle of Wight of my childhood with my children. Traditions, seasons and special events. Day trips to the seaside. Pony trekking in the Dales. Camping. Festivals. County Shows. Steam railways. A weekend away in the autumn much like our Cambridge visit. All ideas for places to visit will be very much accepted. A family holiday to the Isle of Wight. Making the most of weekends to visit somewhere we’ve never been before. Taking the kids to Countryside Live. Reading some of the Classics. Penguin book collection. Vintage Vogues. 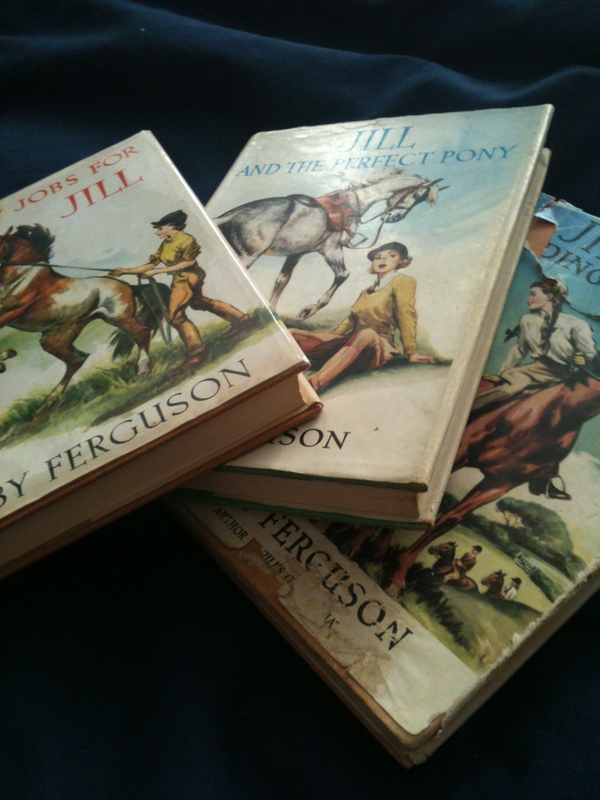 Ruby Ferguson First Editions. Second hand book shopping. World Book Day with Eve. World Book Night. Leeds Big Bookend Festival. Ilkley Literature Festival. Complete my GoodReads Challenge to read 52 books in 2012. Search for the missing books in my Ruby Ferguson collection.